Since the boat is now in the water, we were able to finish a lot of work, so today was kind of a slacker day. Only a few hours of boat chores! 🙂 We still have stuff to do but we can take our time as we aren’t going to be going anywhere until after Hurricane Arthur which is supposed to arrive on Saturday evening. Louise LaBrech, the lady who fixed the canvas work on the dodger/bimini did a great job! So, now all the pieces are back and we are able to put the whole thing together. The dodger/bimini is really important in all kinds of weather – it protects us from wind, rain and sun. So, today I drove down to the beach. Tomorrow, weather permitting, we will go again and look for sea glass. 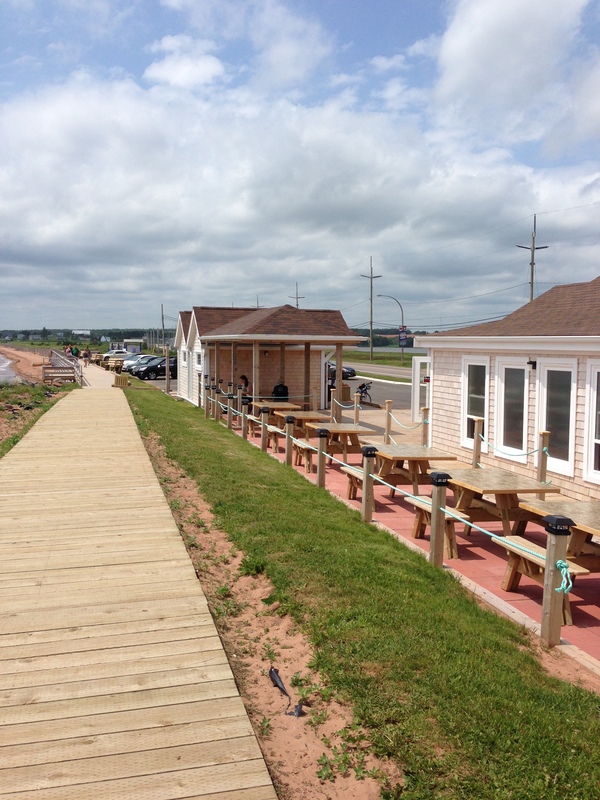 Down at the beach, there is a great boardwalk as well as a few little fishing shack stores. These are new and are really pretty – one of them sells sea glass jewellery. 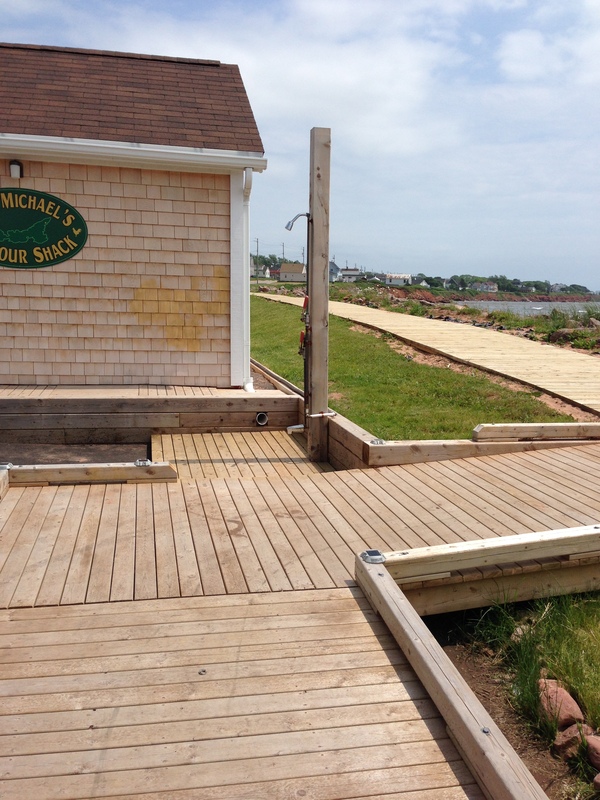 Anyway, the entire boardwalk is totally accessible for wheelchairs – you can even take your wheelchair below the wall and get onto the beach (although, I’m not sure if I would do that, but it can be done!). The other neat thing about the beach is the outside shower – it is used for cleaning off the salt water and for cleaning your feet. What a great idea! 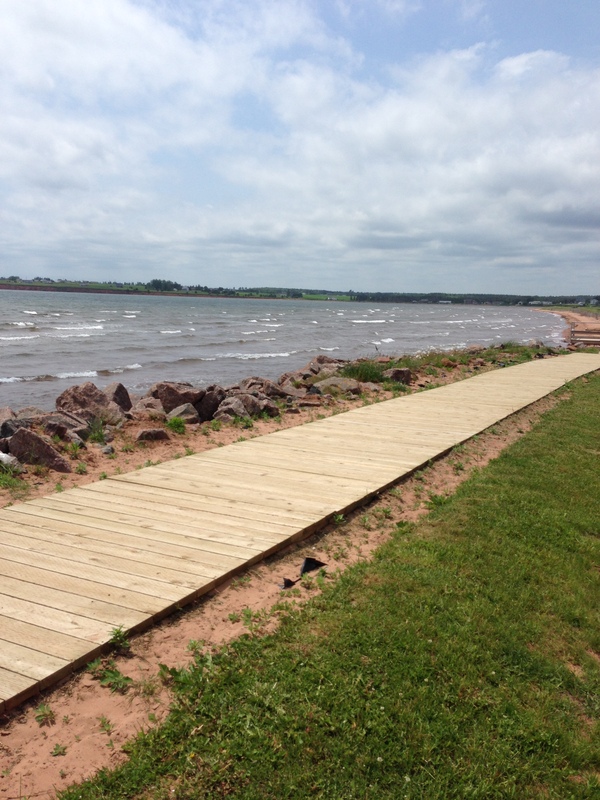 Here are a few pictures of the Souris beach. That’s about it for today. We’ve moved closer into the harbour in order to be prepared for the storm. Much closer to everything too! Batten down the hatches! Hopefully the winds let up before it gets to you. Here’s to sunny skies!